MRI uses strong magnetic fields and short pulses of radiowaves to generate highly-detailed images of the body. Aberdeen University played a major role in its development and the first patient ever to be diagnosed by MRI was scanned here in 1980. 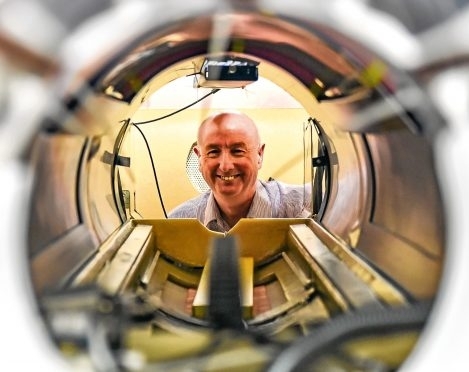 This lecture will describe how MRI works and how it is used, as well as introducing the new-generation “Fast Field-Cycling” MRI scanner that is currently being developed at the University’s School of Medicine.